McDonald’s is still trying to amp up its breakfast game. As Inc. contributing editor Bill Murphy Jr. surmises in an editorial today, McD’s all-day breakfast has backfired, as people who used to stop by in the morning to get their Egg McMuffins now wait until the afternoon, leading to fewer sales in the a.m. and less profit in the later in the day, “Because McDonald’s makes a lot more money on say, a Big Mac, than it does on an Egg McMuffin.” So in an effort to get its breakfast mojo back, the chain has recently announced new breakfast items for the first time in 10 years. First came the humungous triple breakfast sandwiches/hangover cures, and now McDonald’s is apparently working on something called Donut Sticks. The Donut Sticks should roll out in February, says Business Insider, and appear to be pretty familiar. 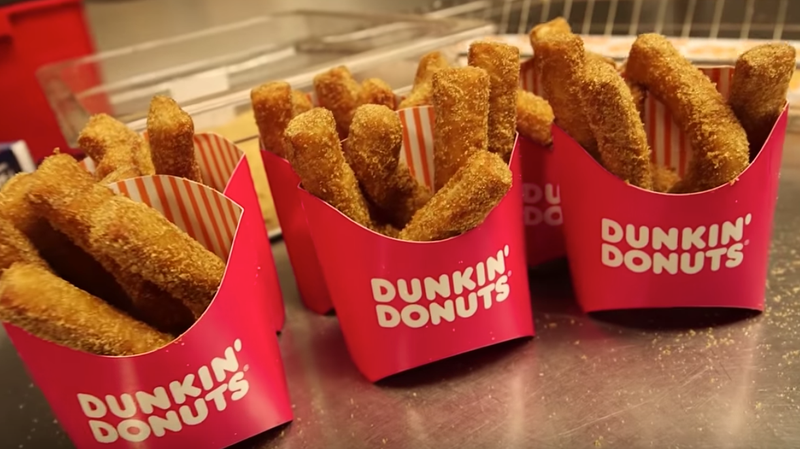 The deep-fried sticks of dough, coated with cinnamon sugar, “look very similar to Dunkin’s Donut Fries, which rolled out nationally in June.” They also should appeal to churro fans. In an attempt to boost morning sales, these new breakfast sticks will not be available all-day at McDonald’s, just in the morning. We may have to do a Donut Fries/Donut Sticks taste comparison (at least McDonald’s isn’t calling their new item fries?) McDonald’s fans have an advantage over Dunkin’ here though: We would totally request some Hotcakes syrup to dip the Donut Sticks in.